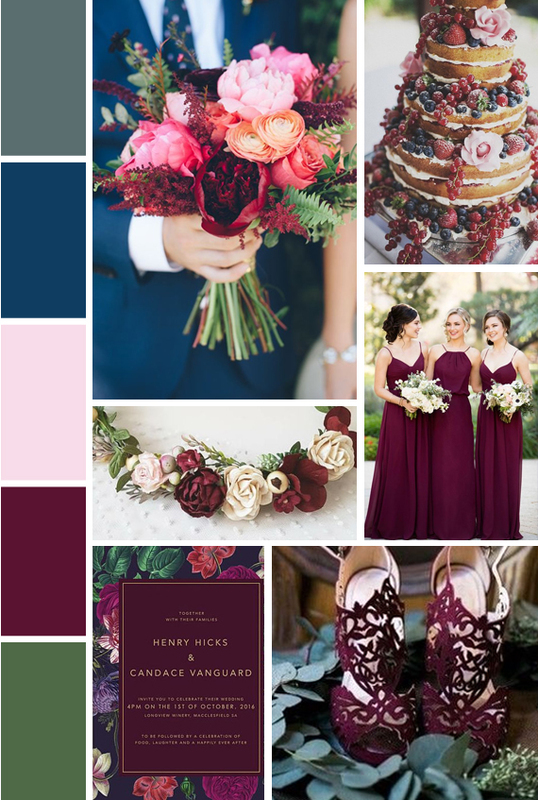 Rich, romantic burgundy is a beautiful jewel tone with enough punch for an beautiful summer wedding. Burgundy and pink tones add an elegant femininity, while the gray and navy sharpens the overall look without taking away from the pops of warm colors. We love the dazzling richness this slightly moody combination provides! Love the colors, especially burgundy — strong but not overpowering. Plus the floral arrangements are gorgeous!